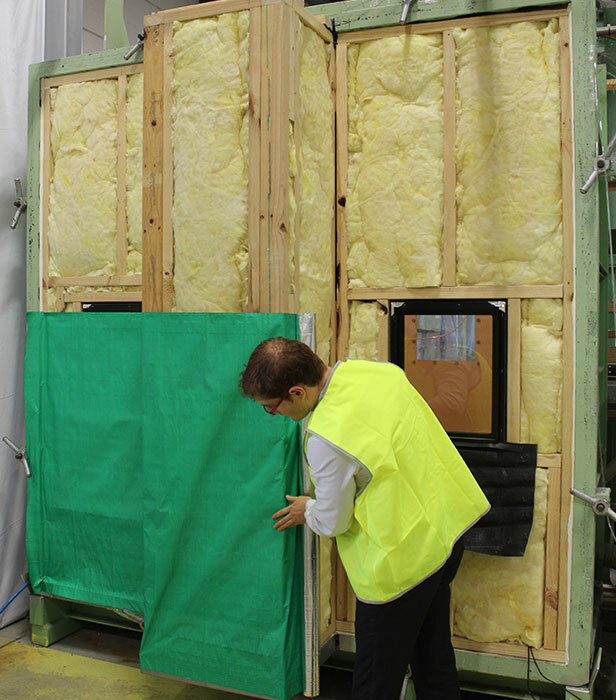 New air infiltration experiments show that wall wrap can significantly improve the energy efficiency of a home. Air infiltration and air leakage has been identified by The Building Science Corporation and The Australian Government as an important issue that needs to be addressed when building a home. According to the Building Science Corporation website (John Straube 2012) “Stopping air is the second most important job of a building enclosure”. 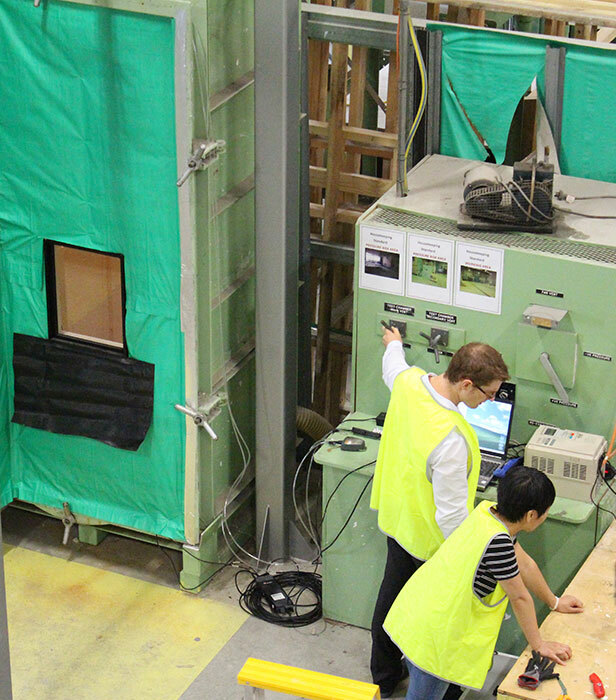 Experiments undertaken in February 2016 at the CSR Research Centre in Western Sydney, demonstrated that wall wrap products such as Bradford Thermoseal and Bradford Enviroseal can achieve reductions in air infiltration of up to 82%. CSR Building Scientist Jesse Clarke, explained, “As part of our research into how wall wraps can improve the energy efficiency of a home, we designed an experiment to determine their impact on air infiltration through a typical residential wall”. For the experiment a 90mm timber stud wall was built on the face of a pressure chamber. The wall had 2 fixed windows, R2.0 90mm Bradford Gold Batts, 10mm Gyprock, timber skirting, timber architraves, 1 power point, 1 light switch and was wrapped with Bradford Thermoseal Wall Wrap. Sensors monitored air pressure inside the chamber, within the stud frame and outside the wall wrap. The external pressure measured outside the wall wrap represented a pressure-equalised cavity which is typical in brick veneer facades. 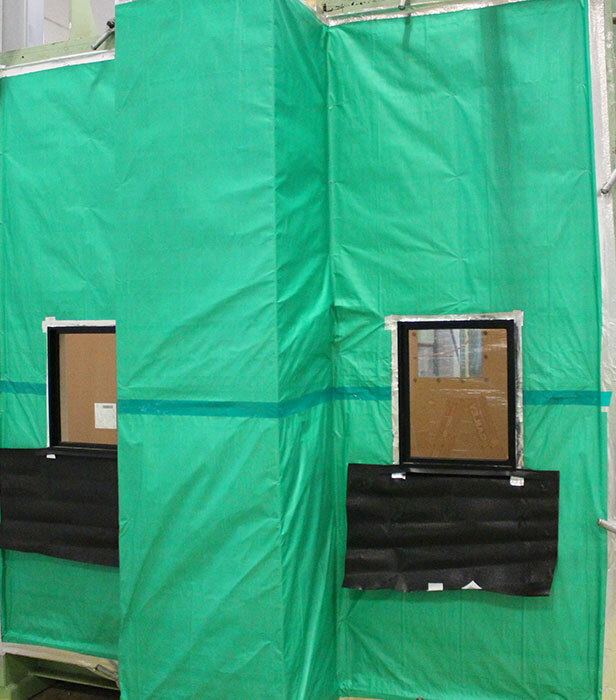 20% reduction in air infiltration was achieved when Thermoseal Wall Wrap was installed without any tape. 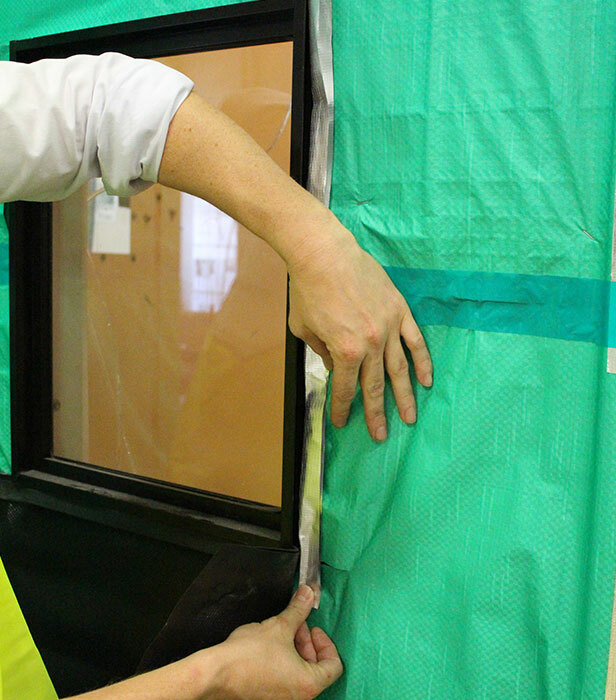 58% reduction in air infiltration was achieved when Thermoseal Wall Wrap was installed with overlaps and window frames sealed with tape. 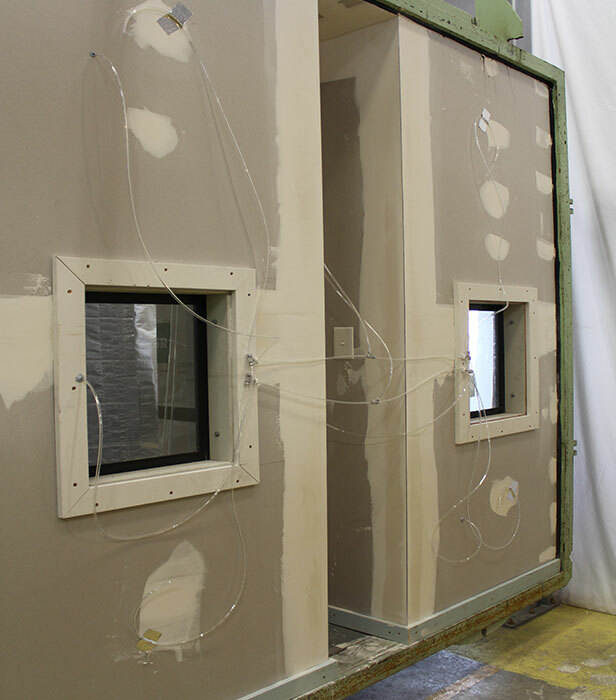 82% reduction in air infiltration was achieved when Thermoseal Wall Wrap was installed with overlaps, window frames, top plate and bottom plate sealed with tape. 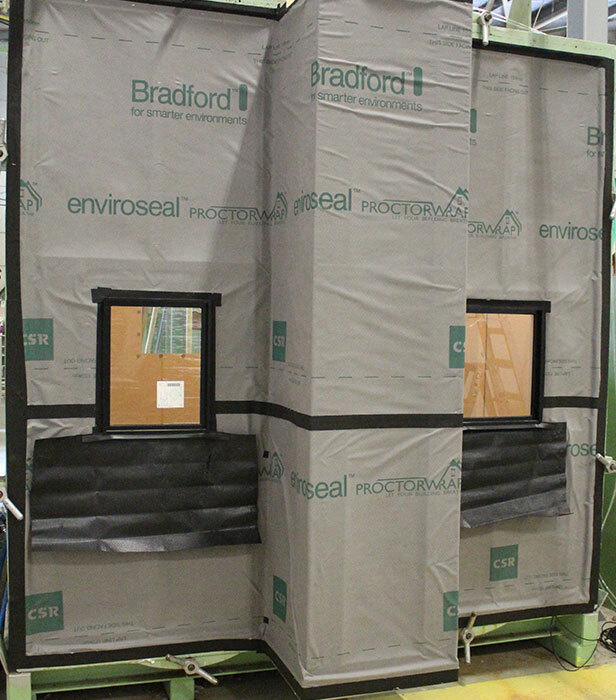 The test was also carried out with Bradford Enviroseal Wall Wrap and the results were comparable. 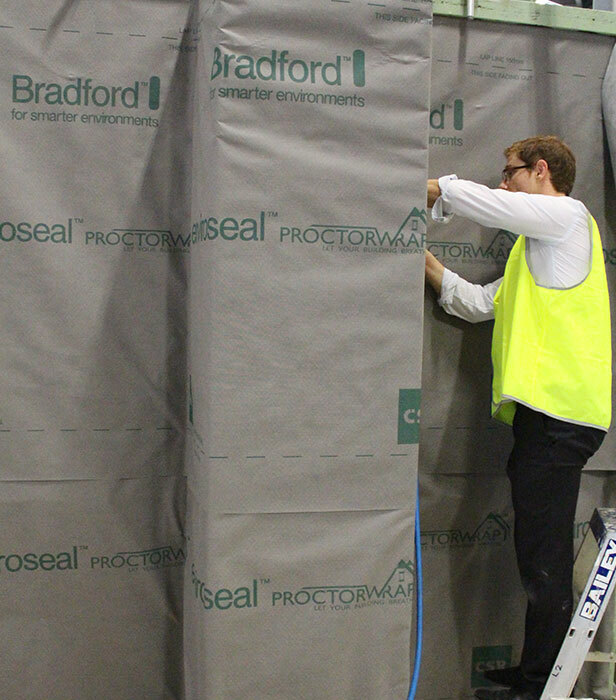 Bradford Thermoseal and Bradford Enviroseal have been shown to significantly reduce the risk of dust and moisture entry, so much so, they are the only wall wraps to be approved by the National Asthma Council Australia’s Sensitive Choice Program, an initiative which identifies products and services that can benefit people with asthma and /or allergies and improve health and well being. Jesse Clarke concluded, “Depending on the type of building construction, insulation levels of the building and it’s climate zone, the selection of the right wall wrap is critical to ensure the energy efficiency and durability of a home”. CSR Bradford offer a range of technical services including condensation and thermal modelling for project and climate specific applications.